What is the Youth Water Leaders Program? This program seeks to create and foster new young champions for healthy water locally. Students participating in this program undertake a water-related project where they develop leadership skills and contribute to lasting change in our community. Senior Secondary Students are recruited based on their enthusiasm and ambition to become leaders while helping BARC better engage people across the community. Students are also offered the opportunity to go out into the field and gain valuable experience with BARC’s partners (such as Conservation Authorities, Royal Botanical Gardens, etc.). 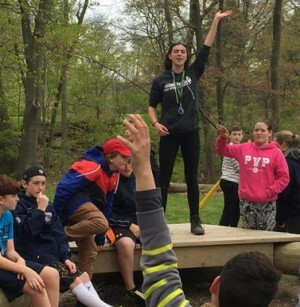 Why Bring Youth Water Leaders to Your School? Program participants will earn secondary school credits through their participation. Please note that students must be enrolled in cooperative education at their school to participate. Do You Know a Student Who Could be a Youth Water Leader? Contact the BARC office at barc@hamiltonharbour.ca.